I think it is fair to say that the police force don’t have an easy job. News is coming out of the USA though of a new controversy. 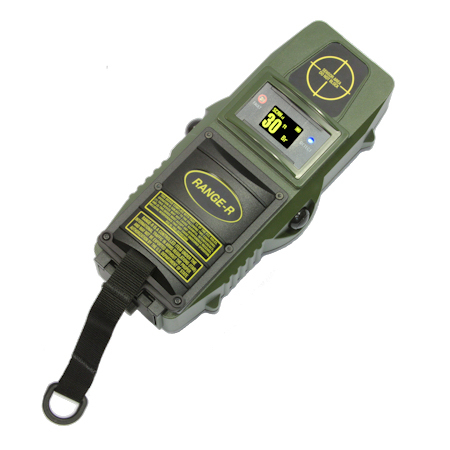 Many forces have apparently issued officers with hand held radars like the one in the picture above. These radars can be used to determine if a house is occupied or not. Now as we might imagine this is military technology. No longer do you have to get your head blown off as you open a door to find the enemy inside with a weapon. No you can use your radar. You hold it against the outside off the building and it will tell you how many people are inside the building, where they are, and if they are moving, still, breathing, etc. And this is great technology for fire fighters too. No longer will they have to risk sending people in to burning houses to see if anyone is inside, this machine will help them determine that the building is empty, or if the person inside is moving or even breathing. And so certain police forces have started to use them. But things are a little different for the police. They have to have permission to search a house, and it is up for debate if the use of such a tool represents a search. There have been other similar instances, including determination that (in the USA) the use of heat imaging technology does constitute a search and even leading a police “sniffer” dog onto the front porch requires a warrant. So once again we reach a fine line, safety on the one side, and privacy on the other. And at the moment we are talking about government institutions using such devices. I am sure a certain section of my local community wouldn’t mind having one too, particularly those who like to steal computers from other people’s property while they are away. But we should also remember that we live with military cast offs every day. The Internet itself is a military tool, both in terms of its development and current use. And even the search engine TOR and some of the things that are sometimes seen as unsavoury, benefit from their interactions with various secret service organizations. And nanotechnology development in the USA has greatly benefited from defense money. There are plenty of articles available if you search this topic, some more technical than others, so I won’t attach any links and you can find your own. Great round ups, really enjoyed your article. Thanks for sharing your article. It’s very informative.